Isn’t it true that appliances have an annoying way of breaking at the worst possible time? 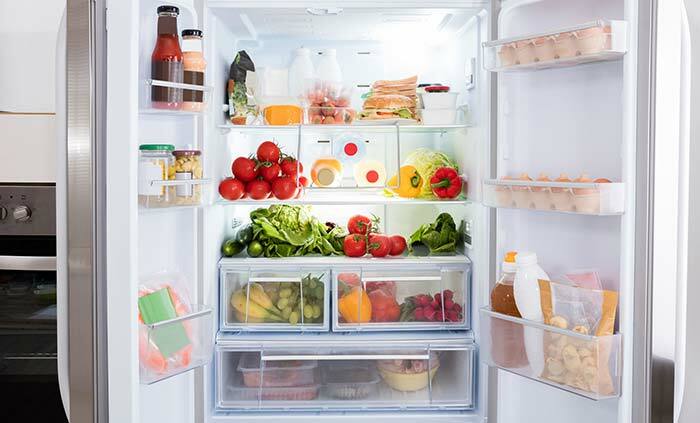 Your fridge stops running as soon as you fill it with a couple weeks’ worth of groceries, or your HVAC bites the dust during a heat wave in July. Don’t worry though, all is not lost! In most cases, your appliances can be easily repaired. For a couple hundred dollars you may be able to squeeze a couple of more years out of it. Unfortunately, nothing lasts forever. Understanding the life span of typical home appliances gives you an idea of when you need to start saving for a replacement. Let’s break down a few of the most common appliances and how long they’ll last. Your fridge may be one of the most pricey appliances in your kitchen. You can spend just under $1,000 for a low-end fridge, or you could spend thousands of dollars if you get a more expensive model that has all the bells and whistles. If you paid a pretty penny for your refrigerator, you’ll naturally want to squeeze as much life out of it as possible. Usually, refrigerators have a life expectancy of approximately 15-20 years for most major brands. You should start shopping for a replacement if yours is near (or currently passed) the 15-year mark in age. By doing this, you prevent any financial heartache if the fridge dies all of a sudden. When you consider that fridges use a lot of electricity, purchasing a more energy-effective model or design can save you a good amount of cash over time. To check the energy performance of your refrigerator, put a thermometer inside and close the door for around 10 minutes. If the temperature level inside the refrigerator exceeds 45 degrees, the refrigerator might be on its last leg. Do not wait until your range burners die or the oven quits working to consider purchasing a new stove. Typically, you can get between 10 and 15 years from a stove. Typical issues with this home appliance includes igniter failure and issues with the control panel or baking component. 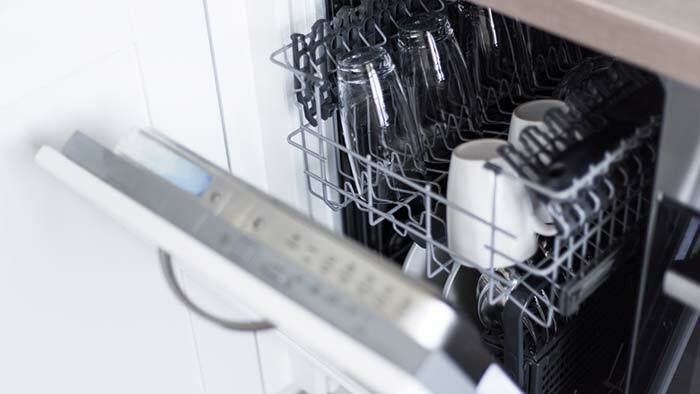 If you have a good working sink and some soap, upgrading or replacing your dishwasher may not be an immediate need. On the other hand, you probably can’t imagine going a single day without your dishwasher if you absolutely hate doing dishes by hand. To prevent any surprises, anticipate needing to replace your dishwashing machine every 8-10 years. Fortunately, the average cost of dishwashing machines is lower than most other home appliances. You can find decent models starting at around $400. With your jam-packed daily schedule, you don’t have time to to lug your weekly laundry to the laundromat. It’s A LOT OF EXTRA WORK. It’s not a good idea to wait to replace your washer or dryer. If you know you have a problem with either of them, start preparing. The next loud squeal you hear may be the last. According to some manufacturers, both devices should have a life-span of around 8-12 years. You can really extend the life of your clothes dryer by frequently cleaning your lint trap. In addition, clean your washer and dryer of product residue, the heating element and exhaust ducts once per year. Correctly cleaning and maintaining your dryer not only extends the life, but it also decreases the opportunity of a fire caused by a dryer. This can take place when lint builds up on the heating unit or in the ducts. You must have to be able to get about 7-10 years from a hot water heater. To get the most use, drain the pipes about a quarter of the way down from the tank every 3 months. This little technique helps to get rid of sediment from the tank, which forms from minerals in the water. Getting rid of sediment permits water in the tank to warm up much faster, making the tank more effective.